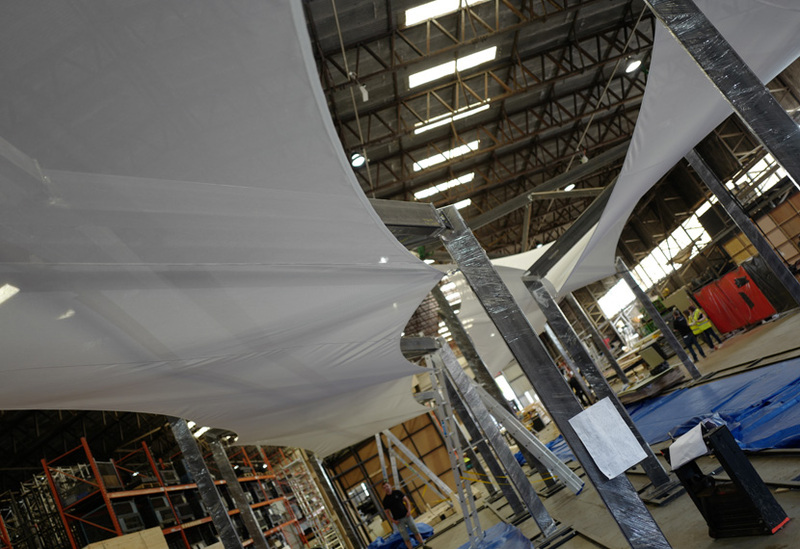 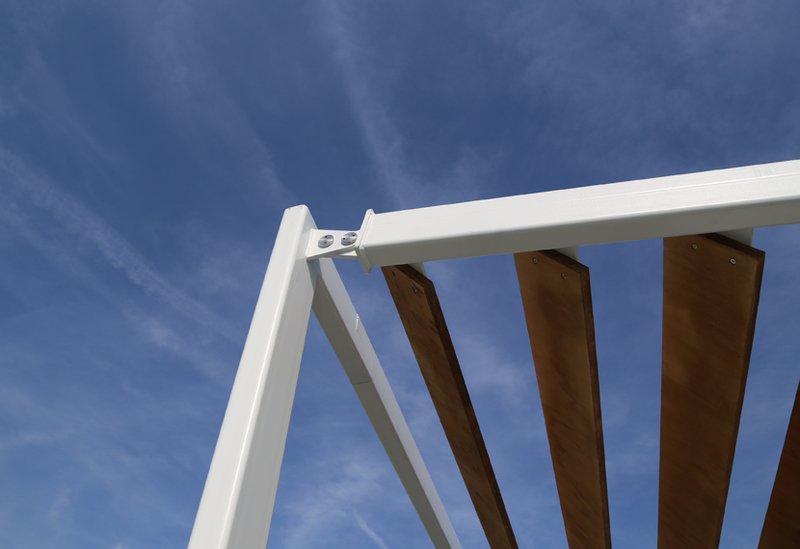 Sharp joinery and skilled fabrication contributed to the exceptional quality of this build. 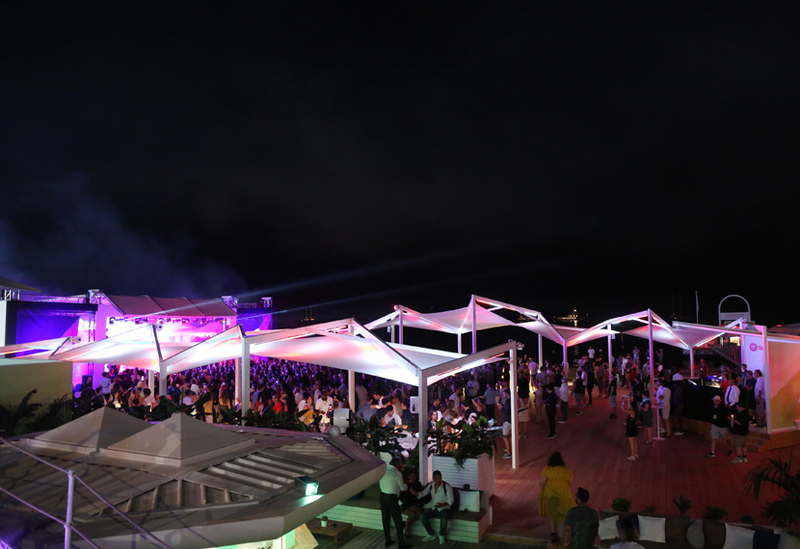 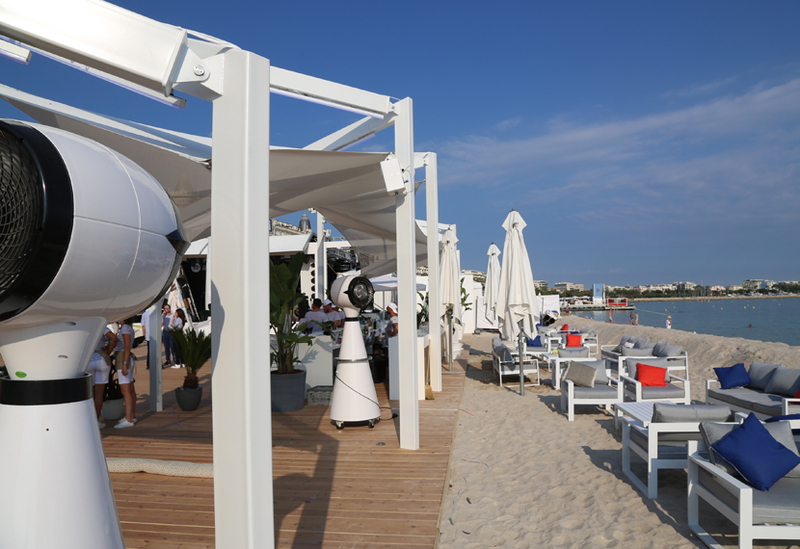 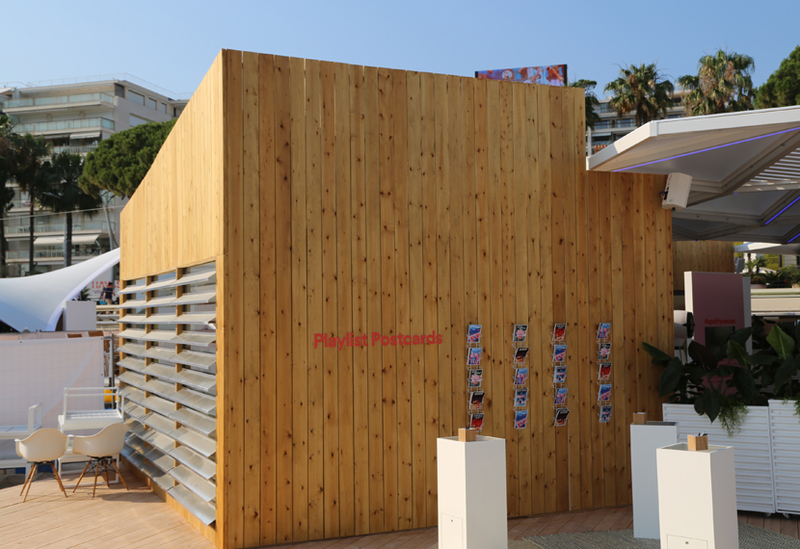 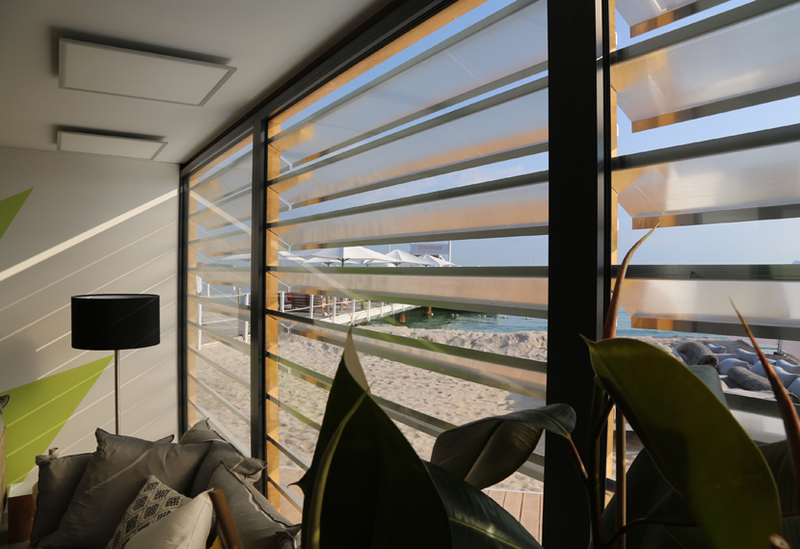 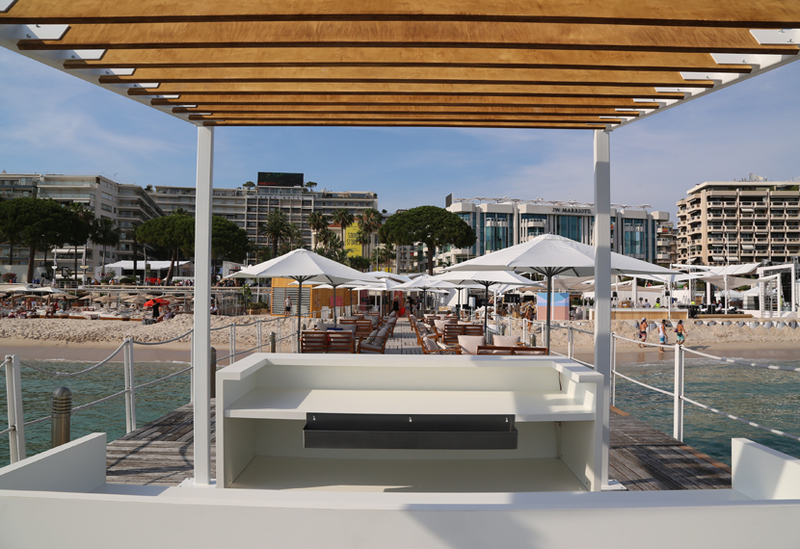 We set up a dedicated workshop and test build area to help deliver the large decked floor and various structures that filled the 21m by 55m site on the beach at Cannes. 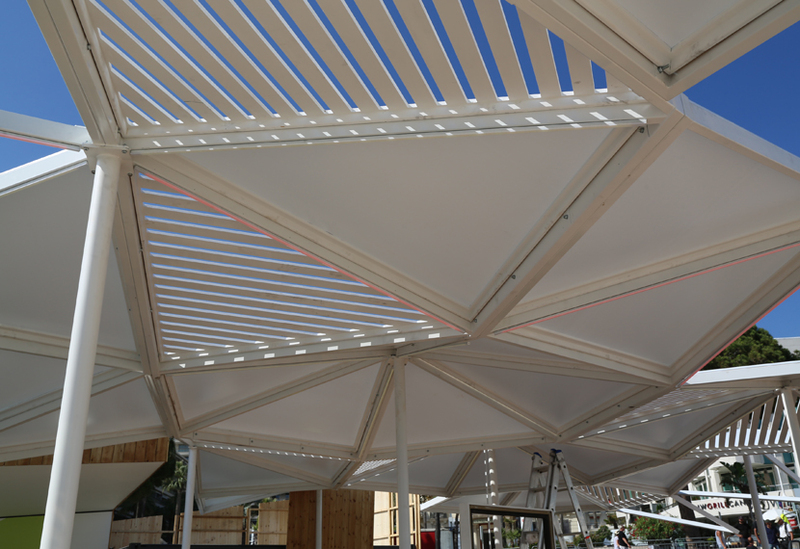 The build incorporated robust white-painted steelwork, timber louvres, triangular steel roof panels and complex, tensioned canopies. 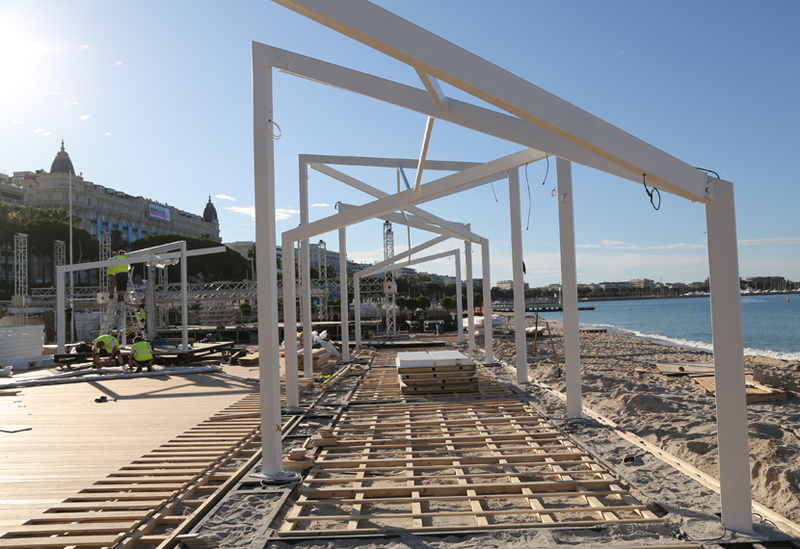 Creating a level and stable surface on which to build is not easy on the beach. 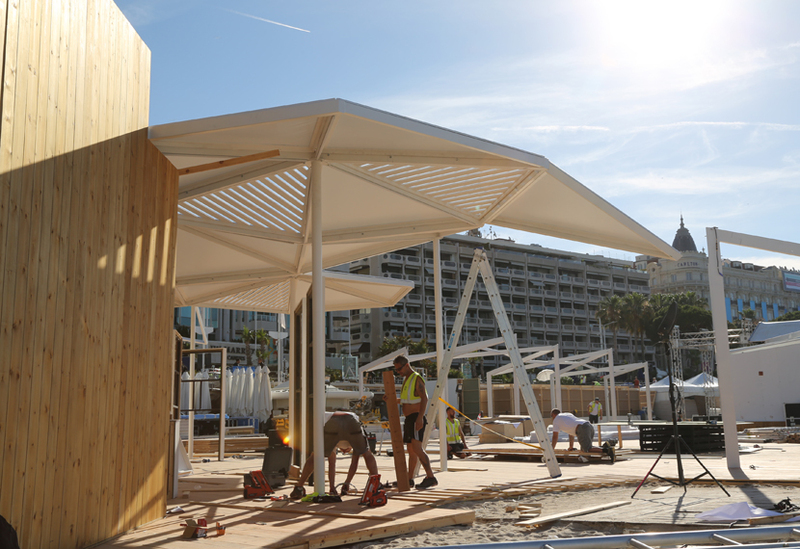 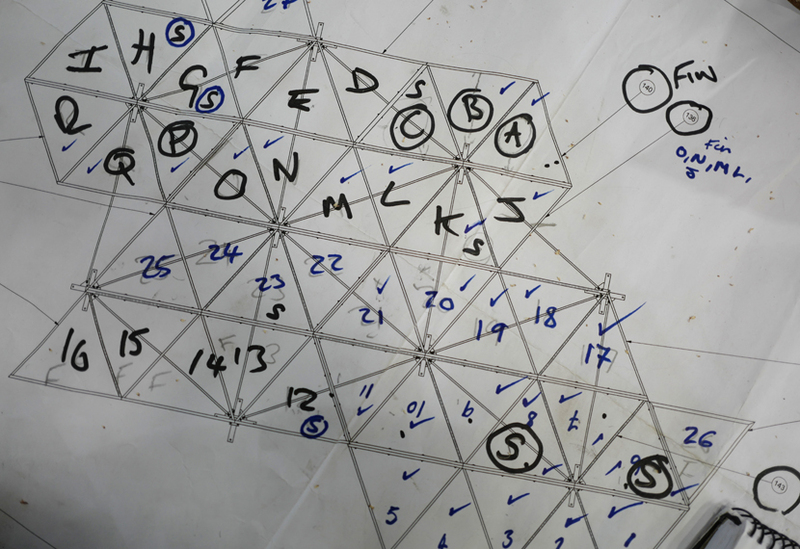 A robust subframe, anchored in the sand, provided the required stability – in particular for the nine steel columns that supported the armadillo-style canopy of triangular steel panels. 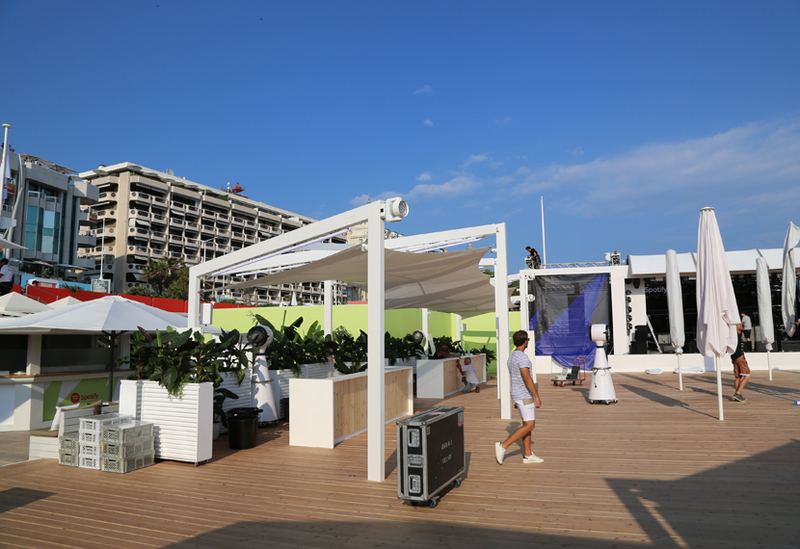 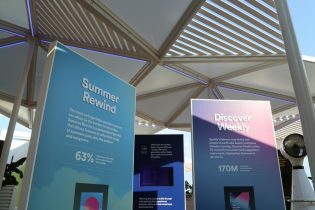 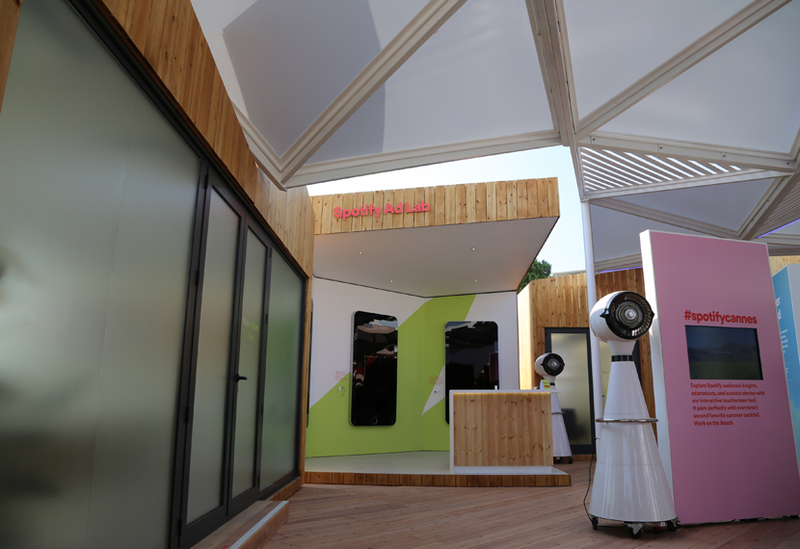 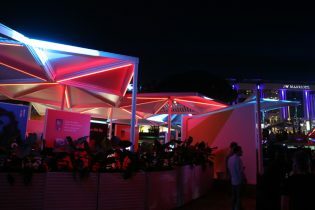 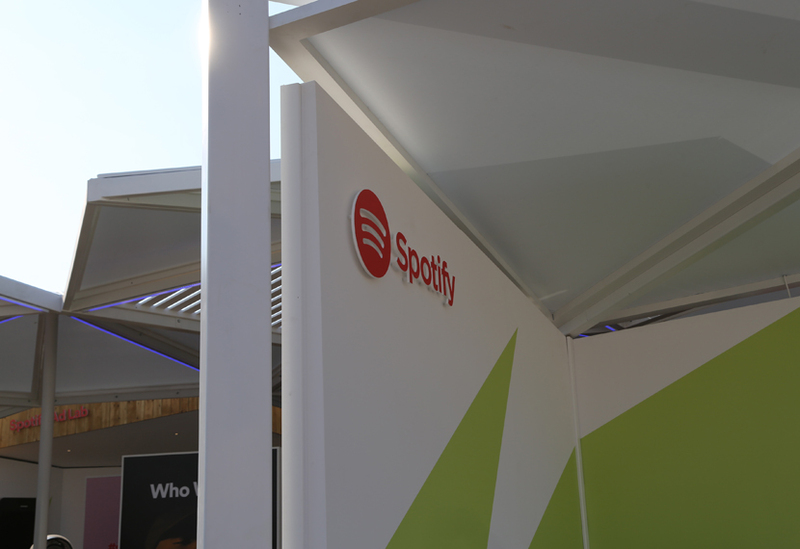 The activation included elegantly refurbished containers used as meeting rooms as well as bars, stages, a product demo area and spaces to relax. 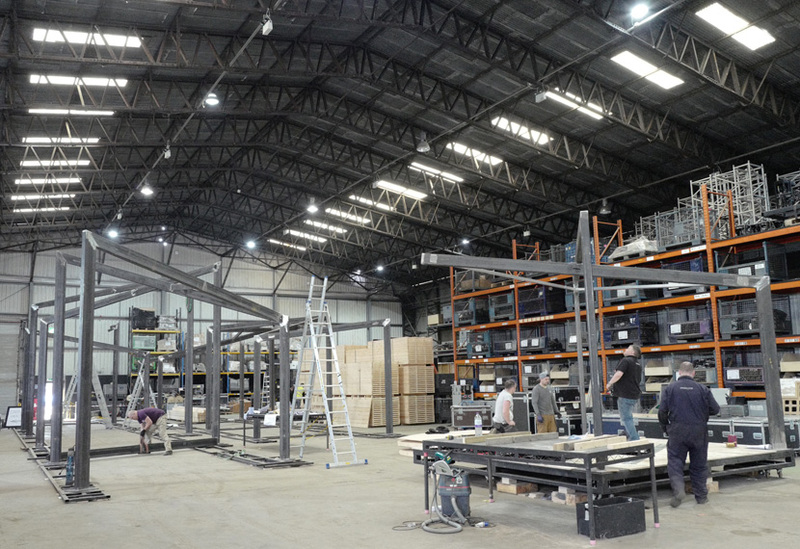 Lengths of chunky steel box sections were used to make a succession of irregularly angled and pitched frames that formed snake-like canopies along each side of the large central deck area. 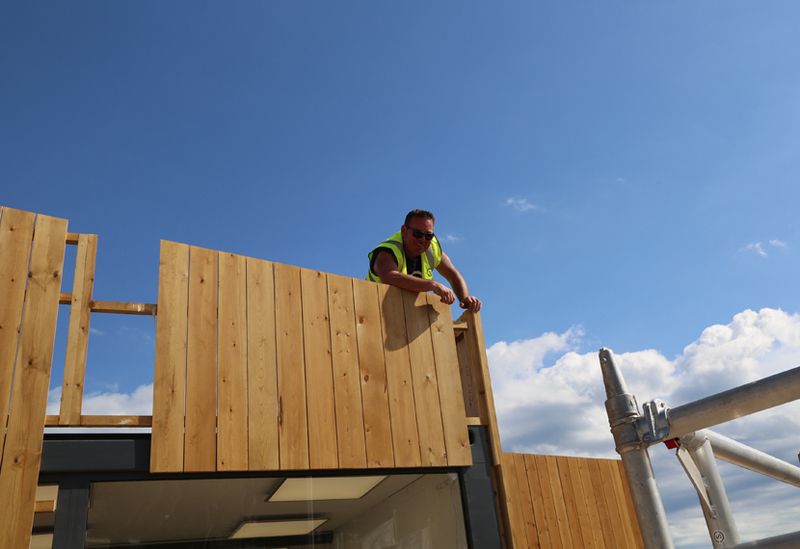 We worked with other contractors on site to ensure their provision was integrated seamlessly into the build. 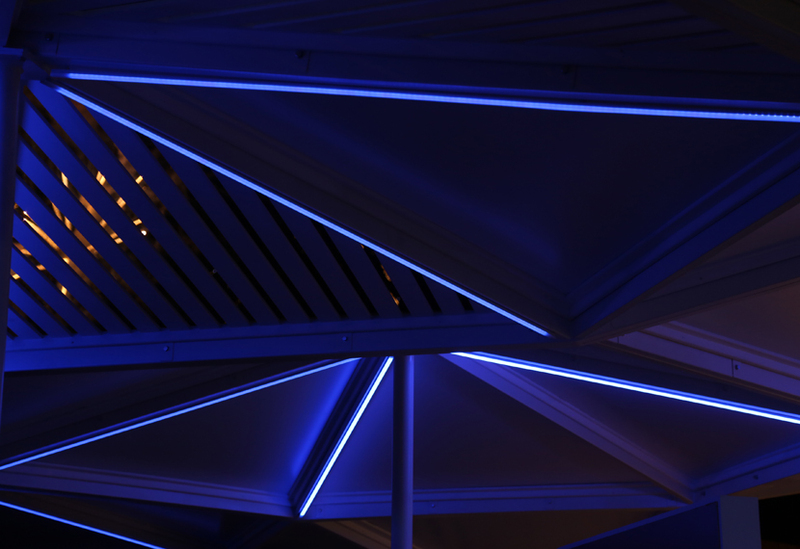 Every detail was considered: from concealing fixings and wiring, to the appearance of joins and connections, ensuring everything was in keeping with the stylish, geometric aesthetic.